The Order of the Most Holy Mary Theotokos delivers a roadmap based on the ancient monastic lifestyle that stands as a practical model upon which to build a satisfying life, despite the seemingly limitless—and at times meaningless—supply of options in the modern world. 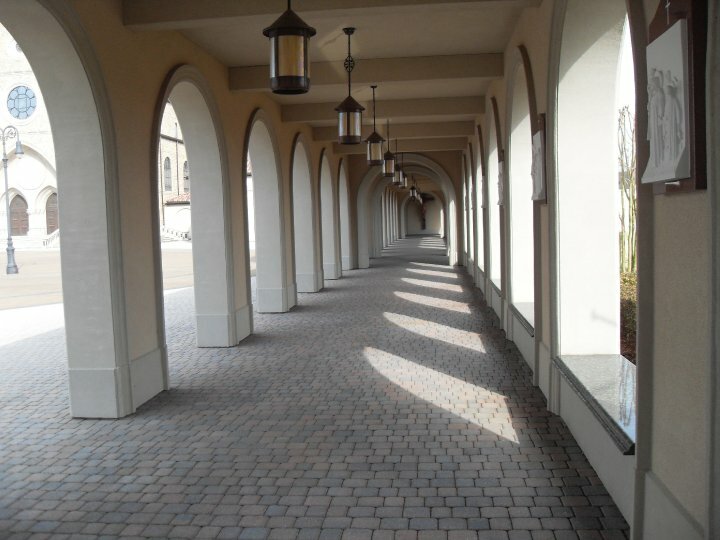 By giving spiritual seekers—individuals, couples, families, and small groups—a new opportunity to live a better life from the very center of their world without ever having to withdraw from it, O.SS.T.’s new approach redefines monastic living for modern-day seekers while remaining firmly rooted in its ancient values. Since founding the "Benedictines of Mary, Old Catholic Marianists" in September of 2009, I have begun to sift and sort the effects of it all, asking myself, what—if anything—of monastic life is worth passing on to others in this day and age? What of this life has any impact or import to populations other than monastic communities themselves—and how can those outside traditional monasteries, too, join throngs of monastics over the centuries who have found this life both enriching and enlightening? This then, is a kind of invitation for those seekers who stand in the midst of a seething, simmering world of spiritual as well as secular options, overwhelmed by choices, and looking for the rhythm of a better life. O.SS.T. serves as a model upon which to build—or rebuild—their own lives. It offers a template to guide them through the maze of empty promises, seductive dead ends, and useless panaceas the modern world, a spiritless culture, has to offer. The search for God is an eternal one. It plagues every generation. It stalks every soul. It is the insistent, eternal cry for meaning, for answers to the questions, Why? And what? And for what purpose? It is the unending awareness that I am not alone in the universe, despite the fact that I do not know where I have come from or to what I’m going. It is the soulful pursuit launched to understand the Beginning of Life and to find the answer to its End. The search for God is the attempt to complete the incomplete in us. And it never stops eating away at the innards of our soul. Every age, every path, has answered the questions of the spiritual dimensions of life in ways peculiar to itself, in language and symbols and lifestyles it could understand. For some, in the past, the search to unite with the One, with the Energy, with the Life of life, took the form of desert asceticism. For others, it lay in community and communal worship. For many, it was an attempt to withdraw from the business of this world in order to be better attuned to the next. But for the Priests, Brothers, and Sisters of O.SS.T., the spiritual life lay in simply living this life, our daily life, well. All of it. Every simple, single action of it. History attests to the proof of the power of such a life lived to turn the ordinary into an experience of the extraordinary union with the God of the Universe—here and now. Our Marian spirituality, the ongoing legacy of sixth-century cenobitic monasticism in the West, to our own times, is proof of its enduring value. This spirituality based on a Holy Rule, a communal lifestyle, is over 1,500 years old. It developed at a time when Europe lay in political, economic, communal, and social disarray. And it exists to this day—around the world. Anything that survives the ages with new vitality in every age is surely worthy of serious spiritual examination in our own. Most significant, perhaps, is that instead of setting out to reform the decadence of the sixth-century, early religious orders simply ignored the cheap and chaotic superficiality of it all to live according to different standards, to walk a different path, to live the life everyone else lived—but differently. Through the ages, thousands of others have done the same. As a result, monasticism has evolved from age to age, until many different forms of its past impulses exist yet—but all of them as carriers of the original impulse. Today, in this time of cataclysmic social upheavals, of global transitions, of technological breakthroughs of unimagined proportions, we must do the same. Old patterns are breaking down; individuals, families, and small groups everywhere—in intentional communities and home worship, in parishes and prayer groups, through committed lifestyles and private disciplines—are seeking to shape new ways of living for themselves in the shell of the old. The "Benedictines of Mary, Old Catholic Marianists"—following the ancient monastic lifestyles that are still the basic worldview and organizational pattern for life in most monasteries everywhere—is meant to be a new way to live a meaningful spiritual life in the center of the world today, rather than withdraw from it. It does not abandon traditional monastic spirituality in favor of some new or exotic spiritual practice. On the contrary, it is anchored in our Holy Rule, rooted in its values. It is an apple falling off an ancient tree, a cutting meant to grow steeped in its history, fresh in its form. May the women and men, the families, the intentional communities who seek to create within themselves a Monastery without Walls, find there the God who is forever seeking them. As the Presiding Archbishop and Abbot of the Order of the Most Holy Mary Theotokos, and on behalf of all our O.S S.T. Sisters and Brothers, I would like to take this opportunity to personally invite you to consider becoming a member of our faith-filled community. The religious life is an important mission for the enrichment of the Church and we consider it our privilege as well as our mission to help welcome those into our midst who are committed to living in an ever-deepening devotion to the Blessed Virgin Mary and personal relationship with Jesus Christ in and through the Church. We are a strong, vibrant, and well established monastic community on a journey to seek spiritual growth and our place in the life of the Church. Although our Order is in the Catholic faith tradition, we are ecumenical in nature. Our members come from a wide variety of religious backgrounds including Roman Catholic, Old Catholic, Independent Catholic, Celtic Catholic, Orthodox, Anglican, as well as other Christian denominations. We are looking for those who desire to enthusiastically share in the life and work of the Order. I believe strongly that God calls people together to travel a spiritual journey, and that journey is a happier one when we make it together: growing and being changed by God in the things we experience on the way. May the Lord Bless and Keep you, and May the Holy Spirit be with you in all that you do. Explore Your Vocation with O.SS.T.